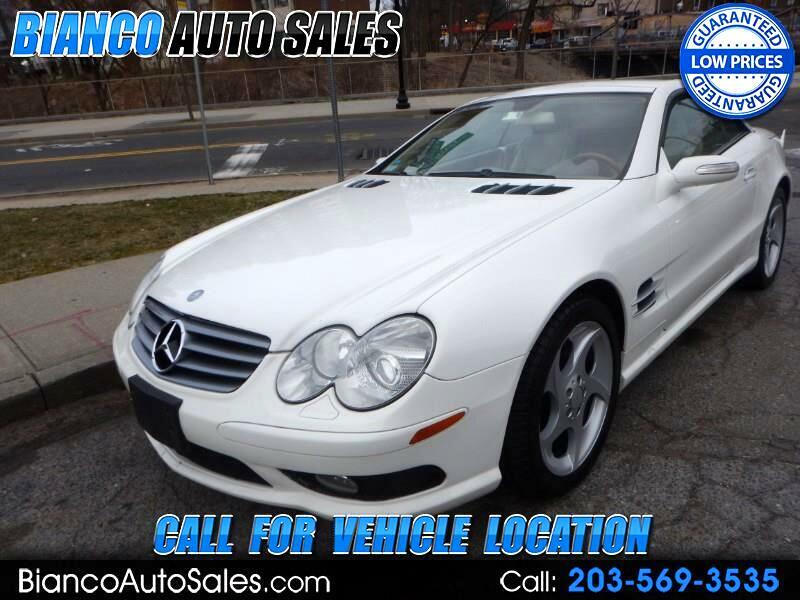 GUYS TAKE A LOOK AT THE SERVICE HISTORY ON THIS PRISTINE SL500!!! !---ALL SERVICE PERFORMED FROM MERCEDES BENZ DEALER!!! !-ALL REGULAR SERVICE MAINTAINED UP TO DATE-(PLEASE CHECK CARFAX FOR HISTORY)---LOOKS LIKE THE DAY SHE ROLLED OFF THE SHOW ROOM FLOOR(REALLY)---SPORT PACKAGE WITH 18INCH SPORT WHEELS!!!! !--AIR CONDITIONED SEATS---WOOD AND LEATHER WRAPPED STEERING WHEEL!! !--INTERIOR LOOKS LIKE NOBODY SAT INSIDE!!! !--NO WEAR AT ALL!!! !--EVERYBODY LOOKS FOR THIS MODEL IN WHITE(VERY HARD TO COME BY)--DRIVES LIKE NEW!! !--WINDOW STICKER WAS OVER $100,000--SHE ONLY AVERAGED 5000 MILES PER YEAR---ALWAYS GARAGED!! !--NEEDS NOTHING!!! !---ALOT OF LUXURY AND COMFORT FOR THE MONEY!!! !--WE HAVE BEEN IN BUSINESS FOR OVER 42 YEARS!!! !WE SPECIALIZE IN MERCEDES!! !--NO OTHER DEALER SELLS THEM FOR LESS!!! !--THE NICEST 2005 ON THE MARKET!!! !--FINANCING--WARRANTY---A GREAT INVESTMENT!! !--FUN TO DRIVE---LOOKS SO NICE WITH THE TOP DOWN!!! !